This website is a comprehensive source of government manuals, in PDF format, free to copy, republish and distribute as you want. The goal of this website is to "liberate" government manuals from the dirty hands of CDROM selling mafia. All manuals are offered at no charge. Feel free to download any manuals, share and republish. There is a limit of 100 manuals per IP address per day, designed to protect my website. If you want entire contents of the website, feel free to download one of our torrents. Please do NOT use any "download accelerators" or website downloaders. These programs are very abusive towards servers that are serving large files. Instead, do "Save As", save PDF files to disk, and view files from your disk. There is a limit of 10 PDF accesses PER MINUTE, which your accelerator will trip. I am just trying to save my server from abuse. Click here to find out more. A lot of manuals that I have come from my eBay auction archives. A moderated newsgroup-like mailing list will be set up to discuss this project. No one will ever be charged for access to these manuals. Numerous rigging, tackling, trucking, and transportation manuals were uploaded by Chicago Machinery Movers. Call them if you are near Chicago and need to move your factory or something. They moved my milling machine on a semi truck. Also, they provide obsolete machinery removal, Chicago area. 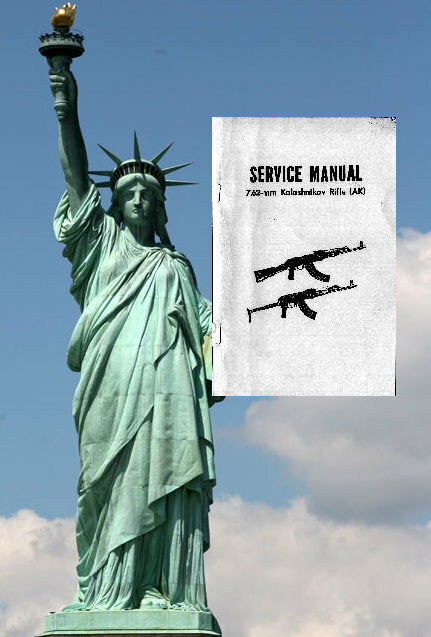 List of ALL free government manuals (4792 manuals -- very large). Please link to this website if you want FREE manuals to appear first in your favorite search engine!